It's almost fall and even though I have been fighting it, looks like it's showing up anyway. 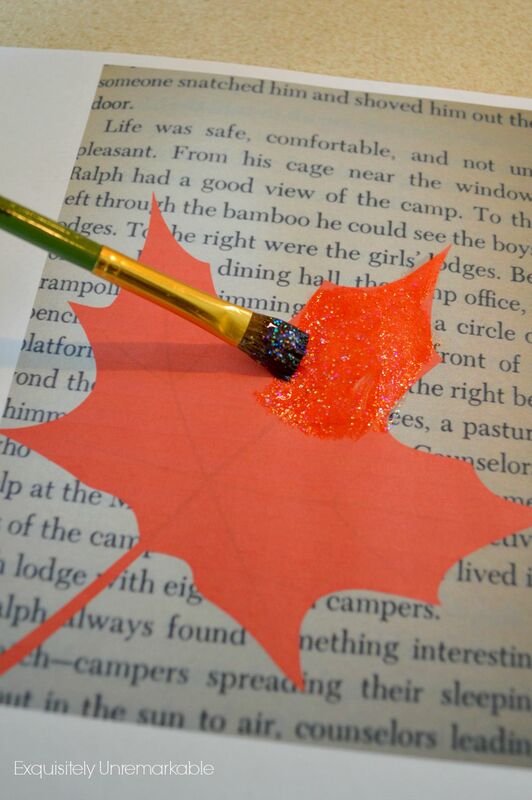 So I decided to whip up a super, super simple fall book page leaf banner to welcome the season. It's my attempt at "if you can't beat 'em, join 'em". Plus, I figure, if I'm going to be cold, I should at least have something pretty to look at. I decorated my living room last week, but to be honest with you, the wood block HARVEST letters on my mantle belong in the basement family room. I needed to put them back there, but that left my mantle looking bare. I have always liked the idea of those book page banners, so I decided to create my own to fill the void. In addition to my computer and printer, these are the supplies I used. Since I had everything on hand, this craft was totally free. I started by taking a picture of a book page. I grabbed Runaway Ralph off of my kids' shelf and snapped one shot. Then I went to my computer and started creating. I used PicMonkey, which is a free site. You can probably do this in any photo editing program. I opened up the tab that said design and got to work. I chose a blank background and sized it to 5x7. Then I went to the overlays tab and I added my own photo, which was my book page picture. That became my new background. Then, I scrolled down to the "leaves" tab, still in overlays, and chose a few leaves and placed them over the book print. I changed the colors of the leaves from black to red, orange and yellow. Next, I went to the text tab and added one letter on each page. Again, I changed the color of the letters, the font and I also sized them to fill my 5x7 space. I printed them out on regular computer paper, you could use card stock if you want something a bit sturdier. I like the whimsical feel of the lighter paper...like leaves blowing in the wind. I wanted to add some sparkle to my banner to brighten the darkness of the coming fall days. I painted on a thin coat of glitter. I used a brush and went easy on my application, because I didn't want my pages to wrinkle too much or tear. The sparkle gel also deepened the color of the ink a bit which was a bonus. I like drama in my decor. Once dry, I cut the rectangles out. I used a straight scissor, because I wanted my banner pieces to look like they were pages torn straight out of a book. 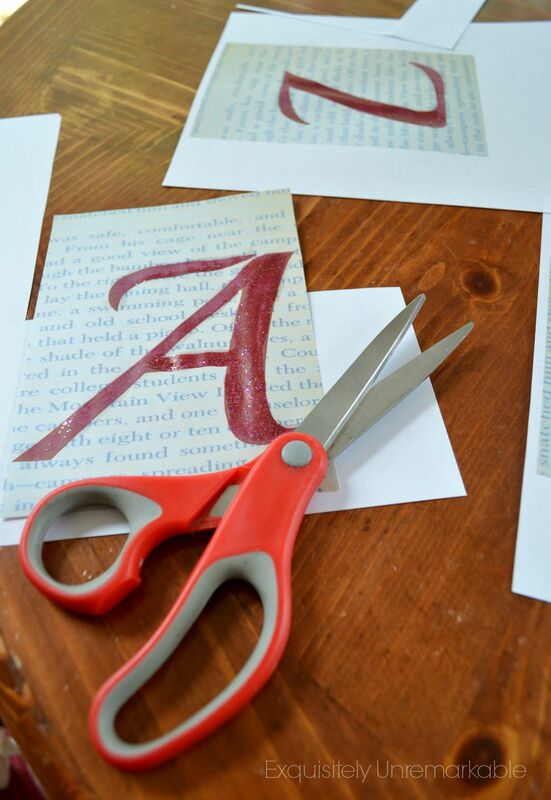 However, you could use a scalloped scissor, if you want to add a little more detail. Now, I am a very visual girl and when I am designing something, I like to see what I am creating in the way it will be used. Naturally, a banner hangs. Constructing it on a flat table doesn't work. 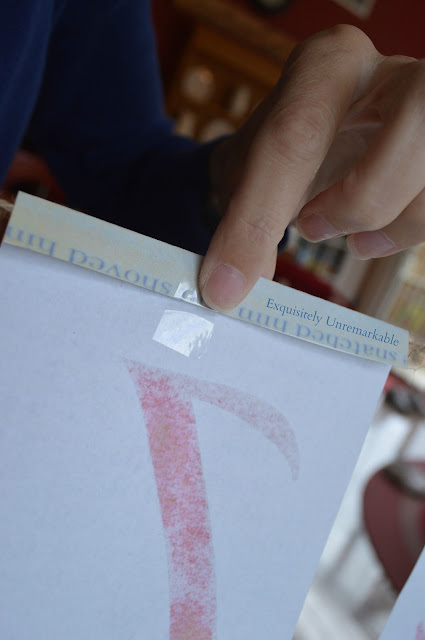 To facilitate this, I ran a string across my kitchen, from cabinet door to cabinet door and laid out my letters. I moved them around, saw what colors looked good against the others, etc. Once satisfied with the the design, I simply taped the letters/ leaves on the twine. 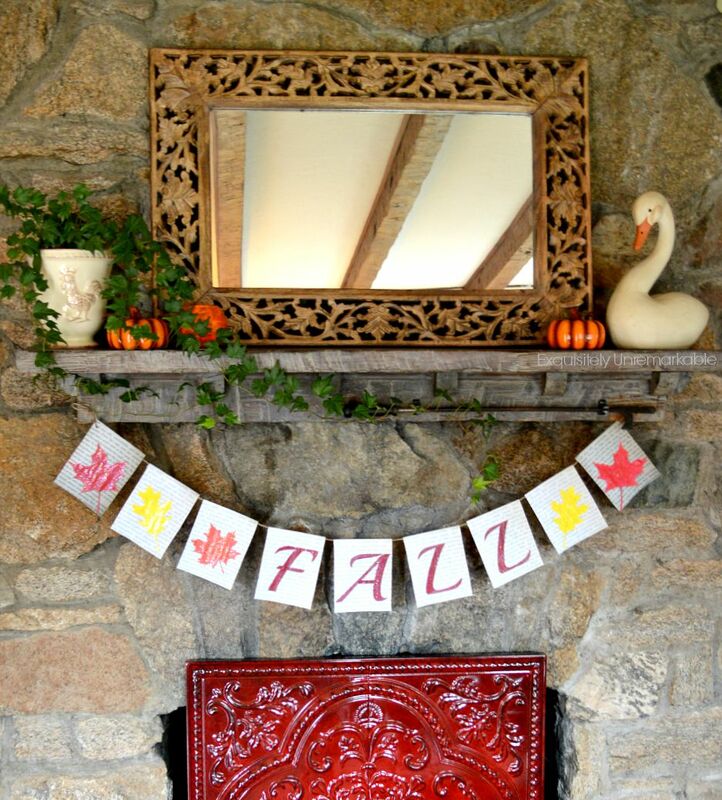 I removed my HARVEST sign, put it in the basement, and hung up my new fall banner on the mantle. It's very festive and very colorful. 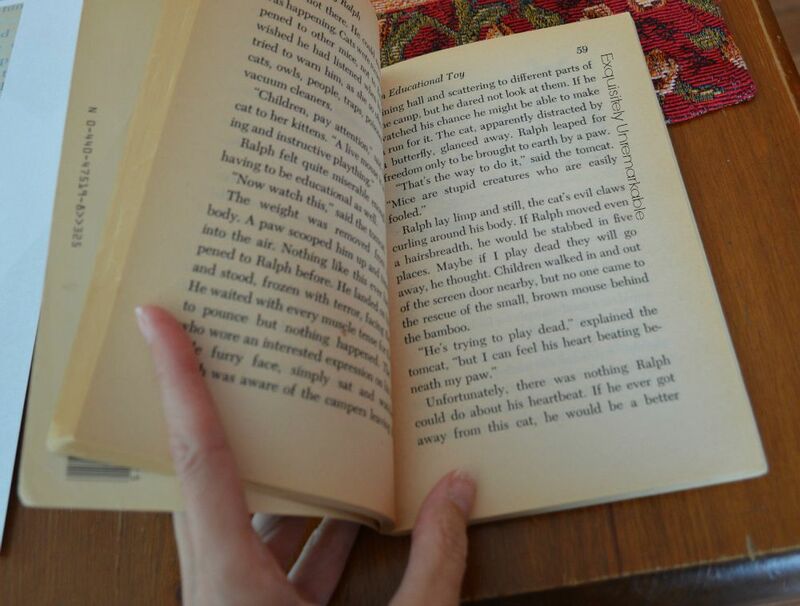 It was bright in this room when I took the photos so the book page detail fades away, but you get the idea. In real life, the text stands out so well, I can actually read all about what Runaway Ralph is up to. I'm excited to get cozy...cuddled up with my new pillow, reading by the fire. Of course, I should probably get a book. That banner is only going to take me so far. Now, I am ready to welcome fall. Ok. Not really, but at least I look like I am. 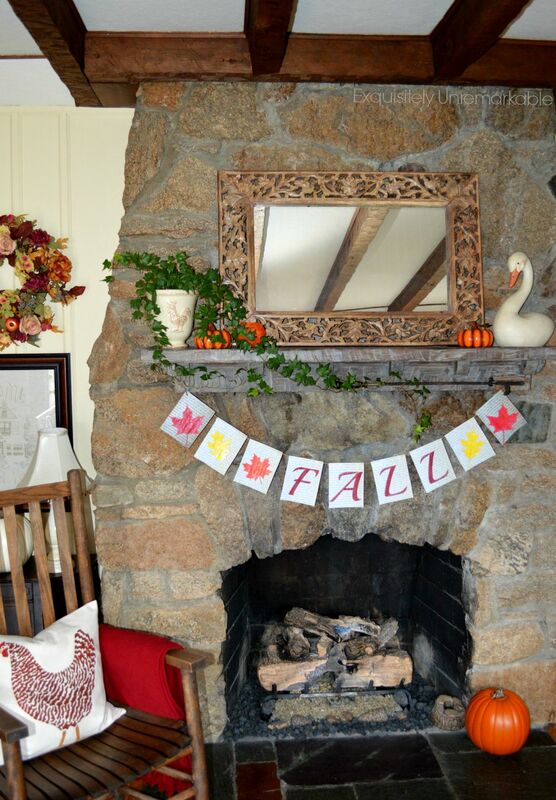 Looking for more fall decor ideas? 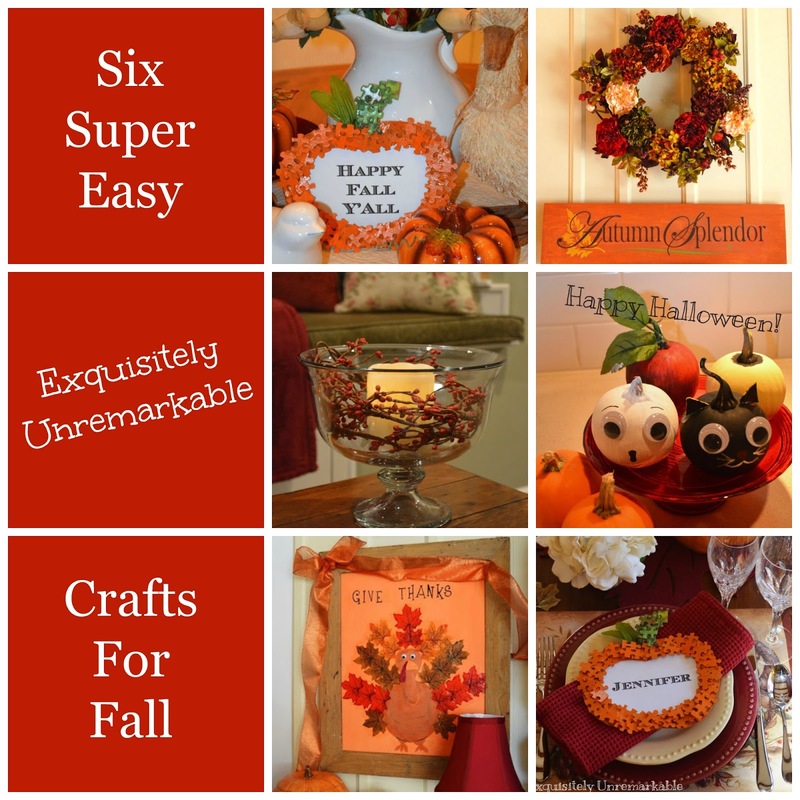 Once again you have made such a nice fall craft. I love this banner and it looks perfect! Adorable!! What a fabulous idea! You're so creative! 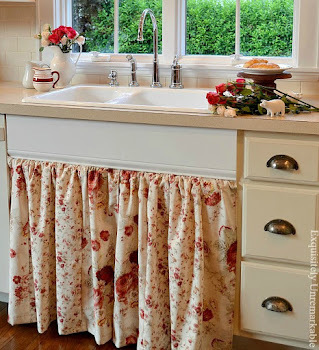 By the way I adore the fact that you use so much red in your home. My favorite! It's such a lovely contrast with the white and ivory. Lovely! Do you happen to have a link to the fireplace in the basement that you got from Home Depot? Very pretty and creative for fall Kim. Kim, this is adorable! And the best part is that I can make something like that! I will get Edward to tape the pages on the cord though...that way I won't get hurt...LOL. That is just too stinkin' cute!! LOVE it and all of the colors! I do love it. The idea to add the glitter is very fun for some night time sparkle. Adorable, as always. :) I love Pic Monkey, but have only used it to fix photos for the blog. Never thought to use it to create anything else. And snapping a picture of a book page instead of tearing a book up (always feels so wrong when I do that) is a smart idea! You know I'm a fan of your pretty and easy crafts! Need to start on my Fall decorating as soon as Sophia's party is over! Thanks for sharing Kim! So cute, Kim & great idea! 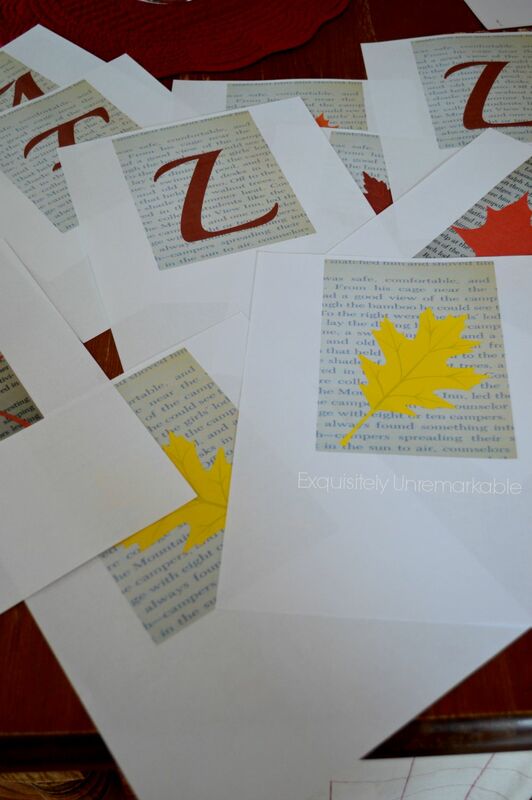 Hi Kim, I love this and such a great idea using book pages. Adding the glitter was perfect. I love pic monkey and use it in many ways for all sorts of needs creatively. This was a great idea for the pages. It looks wonderful on your mantel. Thanks for sharing. Great banner! Love that you added the glitter to it. I would have never thought to use Pic Monkey to make it. 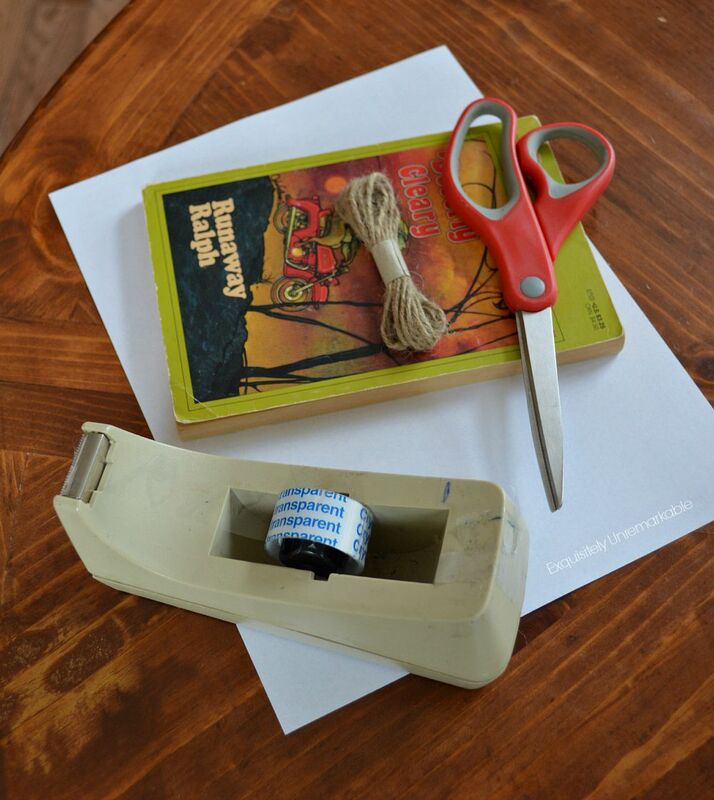 Great idea instead of ripping apart the book! and your non tekkie supplies just warm my heart! it topped 90 degrees here today. i'm so ready for some COOL that i would change places with you in a heartbeat! LOL.! and I even have a mantle! Fabulous! I would have no idea how to go about creating something like that on the computer and printer, but now I do! It looks great. It inspires me to get into Fall! It's so easy, AnnMarie. 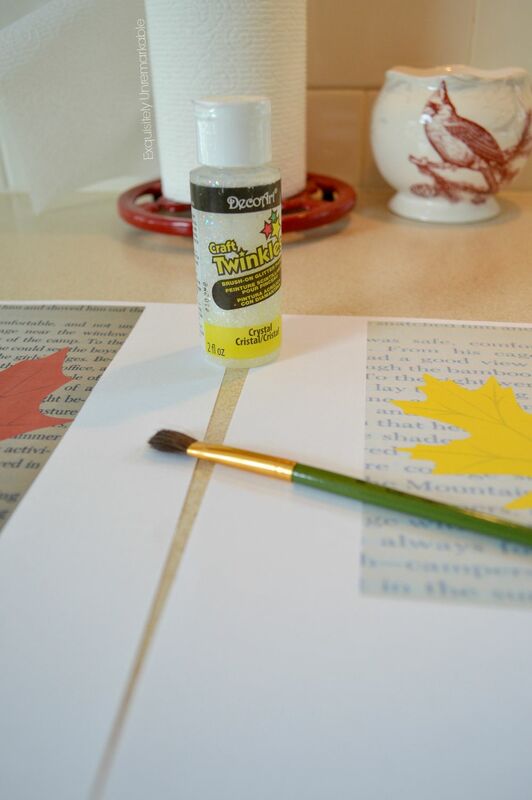 I use that site to create all sorts of fun printables for the season, too! I like that 'No books were harmed in the making of this craft project'. I have not used picmonkey but I may have to try it. I did something similar last year for my mom using a copy of sheet music where you used the book page. It was quite a bit smaller and said Let it Snow for her to hang on her snow themed Christmas tree. I ended up cutting the letters our and attaching them which seems like it would be much more time consuming and stressful than printing the letter right on the book page. Great job. 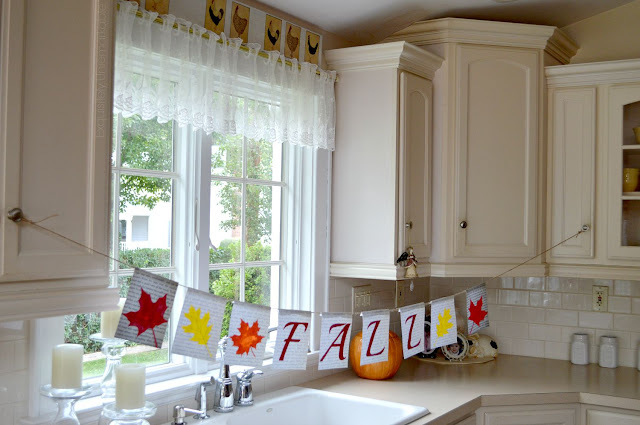 I love how the banner looks on your mantle and it was fun seeing it in process stretched across your kitchen. I bet your banner is beautiful, Lorri. That was my original thought...cutting out the letters. Then I thought about the work involved and I opted for the easy way out. It doesn't have that three dimensional aspect, then again, my husband thought I painted the letters and leaves on. I think that the glitter helps to give it that handmade look. This is so cool, Kim--I'm definitely going to try it. You have the most creative ideas! You’re so nice, Jane! 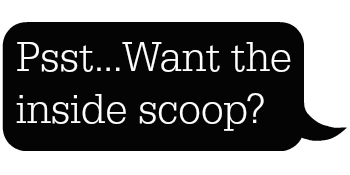 You should try it, it is super easy…no cutting and pasting, just design, print and go!! :) Happy fall! I liked your colorful FALL banner . . .
Tutorial too . . . So glad you copied a page from a book. Perhaps it's just me, but I don't care to see crafts, which cut up books. But you didn't!!!! And it is so cute. Tessa, truth be told, I did use a book page for a craft once and it didn’t feel right. It was one that was kind of torn and tattered, too icky for the donation bin, but still. I don’t know if it’s the reader, the author or the teacher in me, but I would rather copy. Of course, if the book is really in bad shape, I’d prefer to see it crafted than tossed, but I didn’t have any of those. Thanks of the coming by to check it out! Happy fall! I am a big cheater when it comes to crafting, Angeline! ;) I always take the easy way out and there's no easier way to make a banner than with the computer. Thanks for the visit! I really truly must get this house set up so I can make some of your goodies for fall! I have tons of puzzles to decorate with. And a banner would be good, too. I do love PicMonkey! p.s. I saw 2 needlepoint rooster pillows at Goodwill the other day. The back was dark red. I was so tempted to buy them for you! Alas, I was broke. But I did think of you! That sounds lovely, Deb. I am waiting for that day, too! Kim, I just opened my email giving the short list for the Amara Interior Blog Award and saw both your and Brenda's blogs listed. Congratulations, girl! That's so exciting! I had to come tell you that and found your new post on this pretty fall banner. I use PicMonkey Royale but haven't explored half the things you can do with it. Maybe if I follow your directions I'll learn some new stuff. Dewena, yours was the first email I opened this morning and read the news that Brenda and I were on the list!! There’s no better way to get good news than from a friend! It was so exciting!! Thank you for your very sweet message. I truly can’t believe it! you won! at least i think you did! you're on the list!!! my goodness. i didn't know it was such a big deal when i voted for you! but it is! blogs from all over the world! Thank you, Oliva! I know...I'm not a book ripper if I can't avoid it. ;) Ps...I love getting pinned. It's adorable, Kim! And I STILL have never made a banner! Old music sheets sound lovely, J! You know I have a ton of old player piano rolls and I don’t know what to do with them. I keep thinking I should craft with them, but maybe I should just sell them! It’s still summer here, too…but fall is coming! Good morning Kim and Happy Monday. I really love the way you share with us such creative crafts and you always make it look so easy to make. 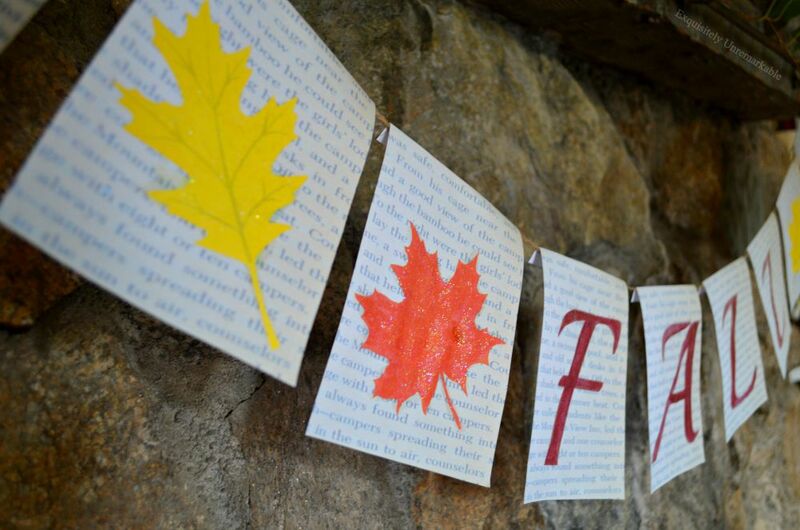 Thanks for sharing you fall banner you made at Cooking and Crafting with J & J. Thanks for the party, Jess. You and Julie are super hostesses! What a simple yet wonderful idea! Thanks for an easy tutorial. I just know we would have a ball, Nancy and never run out of things to say! :) Thank you! That is very cute! Thank for joining Home Sweet Home! Super cute garland!! I love how you painted on the glitter to add some texture! Thanks so much, Sam. It does add a little sparkle to fall! Kim, I love book page crafts and your banner is so pretty!! Thanks so much for sharing it with us! Great project Kim! I will admit I would have cut up the book LOL I love your alternative! Thanks Susan...maybe another book, but I just couldn't hack into Runaway Ralph!! Haha! !